As a vibrant university town, Saskatoon offers a nice blend of indoor and outdoor activities, making it a fun place to visit any time of year. We’re one of the best hotels in Saskatoon for visitors who want to get out and explore. Due to our convenient location, guests can easily access many of the top Saskatoon tourism attractions. Take a stroll through the campus of this beautiful, world-class university. Indoors or outdoors, there are lots of things to see and do. Just 12 minutes from our Saskatoon accommodations. 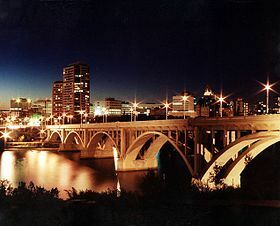 The Broadway Bridge was designed by engineers from the University of Saskatchewan and built by the City in partnership with the government as a "make work project" during the Great Depression. The first St. John's church, a wooden frame building, was erected in 1903. 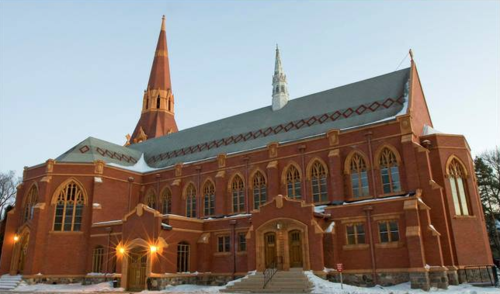 The present structure was raised in 1912-17, in an unornamented neo-Gothic style. Its chief distinguishing characteristic is a rood screen at the chancel steps. Wanuskewin Heritage Park sits above Opimihaw Creek and the South Saskatchewan River near Saskatoon. The area contains some of the most exciting archaeological finds in North America, many of which pre-date the pyramids of Egypt. 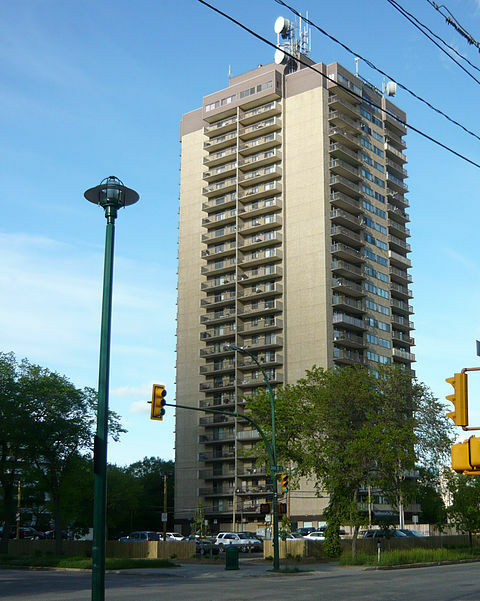 Although it is a residential building, Hallmark Place is an iconic part of the Saskatoon skyline. With 27 storeys, it is the second tallest building in the city. Affectionately dubbed “the Paris of the Prairies”, Saskatoon has a lot to offer travellers. Whether you want to explore the parks and trail networks that wind along the South Saskatchewan River, or you want to catch the latest production at the Persephone Theatre, it’s all within easy reach. Saskatoon has recently become known as Canada’s Hottest New Food City, so you can look forward to great dining and nightlife options. For a treat, head down to the city’s central business district. You’ll find restaurants like Ayden Kitchen & Bar, run by winner of Top Chef Canada, Dale MacKay. Arts & Culture is diverse and draws from a rich heritage. Families can step back in time at the Western Development Museum or learn about Saskatchewan’s First Nations people by visiting Wanuskewin Heritage Park. If you’re seeking something bold and contemporary, you’ll enjoy the Remai Modern - a unique modern art museum with dazzling exhibits and home to the world’s largest collection of Picasso linocuts. And, of course, we’re one of the most conveniently located hotels in Saskatoon for people who want to attend events at the SaskTel Centre! Literally 350m (4min walk) down the road, the arena plays host to the Saskatchewan Rush and the WHL’s Saskatoon Blades, as well as an ongoing schedule of concerts and other cultural events. Serving homegrown, globally inspired cusine—Ayden Kitchen & Bar is a treat. Take a seat and take in the atmosphere. Whether you're here for a meal or a nightcap, you'll enjoy it. Located within walking distance of our Saskatoon hotel, this all-day restaurant offers hearty meals throughout the day, including an impressive list of burgers, sandwiches and entrees. Warm up at Saskatoon's year-round paradise: Las Palapas Resort Grill. Every day is a fiesta in the beach lounge! You'll tickle your taste buds with their award-winning tropical cuisine. Swing back in time at Pink Cadillac's. Experience malt-shop magic while chowing down on some good 'ole diner eats. The 1950's decor and music will make you want to get up and boogie-woogie! Looking for some amazing Chinese American cuisine? Odd Couple has you covered. With fun and delicious flavour combinations, you're sure to feel satisfied. If you have a hankering for spring rolls, noodle bowls and other authentic Vietnamese cuisine, this is the place to be. Less than 10 minutes from Saskatoon Comfort Suites. At Sami's Sunrise Grill, you can expect delicious breakfast, lunch, and dinner. From our fan-favourite eggs benedict to jambalaya penne, our menu is sure to satisfy! The Shark Club is the perfect place for people staying at our hotel to catch a tasty bite to eat and wash it down with a pint. Whether you're enjoying a family meal out or you're watching the big game on a flat screen while having a drink with friends, Boston Pizza is always a popular choice. From double-doubles to donuts, Timmies is a Canadian favourite. With five locations across the city, guests staying at our hotel in Saskatoon won't have to go far to find one. Offering a unique perspective on art and culture, Remai Modern is a museum of modern and contemporary art. This museum strives to support artists and their visions while inviting everyone to participate in the artistic process. With a Subway located within walking distance of our hotel, you can easily keep your hunger in check with a loaded sandwich. Fill up on your favourite meals for breakfast, lunch and dinner (or have breakfast for dinner if that's your thing). Located five minutes from our lobby. Learn about the province's human history, from the beginning of settlement to present day, at one of the top Saskatoon tourism attractions. Catch a recital in this remarkable Provincial Heritage Property, named after the late, distinguished piano teacher, Lyell Gustin. Located about 15 minutes from our lobby. Visit the oldest house in Saskatoon still standing in its original location. Caringly restored by the city, it offers a glimpse into what life was like back in the pioneer days. Immerse yourself in the city's history by visiting Nutana Cemetery, the burial site of Saskatoon's earliest pioneers. This Saskatoon tourism attraction offers a tranquil setting along the South Saskatchewan River. Located about 30 minutes south of most Saskatoon hotels, in the town of Whitecap, this casino offers plenty of table games, slots and live entertainment. One of the most highly recommended family attractions by Tourism Saskatoon, this Natural Historic Site features exciting animal exhibits, beautiful gardens and restored heritage buildings. See the city from a different perspective and learn about the South Saskatchewan River, area landmarks, and cultural highlights as you go. Just 15 minutes from our lobby. Billed as 'Saskatchewan's premier fashion destination,' Midtown brings you exclusive brands such as Victoria's Secret, MAC, Michael Kors & more-plus a host of fun events and promotions for the whole family. Just a short drive from our Saskatoon accommodations, the Centre Mall brings you all the stores your family loves most, a modern food court with something for everyone and even a movie theatre. Worth the short drive from our Saskatoon hotel, Wyant offers fans a thrilling stock car racing experience. Hosting some of the most popular races in the Prairies, this is the place to be on race day! From wrestling matches and motosports to world-renowned musicians and Stars on Ice, SaskTel Centre hosts some of the most exciting events and performances to stop in Saskatchewan! A must-visit when staying at Saskatoon hotels, Shaw Centre is home to three pools, including a family pool featuring rapids, waterslide and waterpark features. It's also a great work out destination with a walking track and fitness centre. Home to celebrated bonspiels and funspiels as well as clinics and league play for adults and juniors alike, Granite Curling Club is the place in Saskatoon to curl and make memories on the ice! Located just south of our Saskatoon Comfort Suites, Dakota Dunes Golf Links is an 18-hole Cooke-Carleton course designed to challenge and inspire with the breathtaking river valley landscape. A welcoming and legendary Saskatoon golf course that lets you play six, 12 or 18 holes, Greenbryre Golf & Country Club fits perfectly into your travel itinerary. Golfers at our Saskatoon accommodations will want to pack their clubs to play Holiday Park, an 18-hole championship par 71 course plus 9-hole executive course. Choose from one of three par 36 courses at the beautiful Moon Lake Golf and Country Club, featuring a links-style design that embraces its natural Prairie beauty. The most fun you can have golfing indoors! We're one of the hotels in Saskatoon, SK, that's near the Ramada Golf Dome, featuring 37 range stalls, putting & mini-golf. Live theatre at Persephone immerses you in storytelling at its best. From tragedies and comedies to the classics, experience the performances Saskatoon theatre-goers rave about. Thought-provoking, brave & jubilant, the performances at Broadway Theatre-just a short drive from our Saskatoon Comfort Suites-are your chance to experience the work of artists from across Canada and beyond. Art and art-making that commands your attention, the Gordon Tootoosis Nikaniwin Theatre stages innovative, culturally relevant First Nations, Métis and Inuit performances. Watch the latest Hollywood blockbusters at Cineplex Odeon, bringing you 7 screens, including 3D, and Stars & Strollers for all the movie-goers in your family! The films you love at discount rates! Families staying our Saskatoon hotel enjoy how they get to stretch their entertainment dollars even further at Rainbow Cinemas. The Magic Lantern Roxy Theatre shows insipiring indie films, beloved movies you might have missed when they first came out, or that you liked so much you want to see it again-and at a great price! With premium gas, a great selection of automotive products and all the must-have snacks, Shell "puts the service back in service station." With top tier gas, a wide range of convenience store snacks and a car wash, the Co-op Gas Bar gets you and your vehicle ready for the next leg of your journey from our hotel in Saskatoon! Fuel up and stock up on snacks and all the hot and cold drinks you love at Petro-Canada so you've got everything you need for a day of sightseeing and fun. Super gas, super service! With food and fuel from Fas Gas Plus, you're ready to visit all your favourite Saskatoon tourism attractions! With the smell of bannock and burgers wafting out the doors, you won't be able to resist the grill when you're getting gas at Fire Creek! At Bema Autosport, two electric vehicle charging stations await to get you charged for your journey & give you eye candy in the background. Just a short drive from our Saskatoon hotel's parking lot, Ens Toyota brings you two convenient EV plug charging stations. While you're plugged in, check out those shiny new cars! As one of the few uncultivated short grass prairie sites in Saskatchewan, the Beaver Creek Conservation Area offers numerous opportunities to discover the wonders of nature. 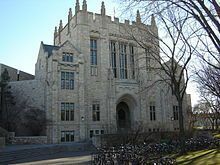 A hidden gem located on the University of Saskatchewan's campus, the Museum of Antiquities has an impressive collection. From ancient Egyptian to Greek, the full-size replicas are a sight to see! 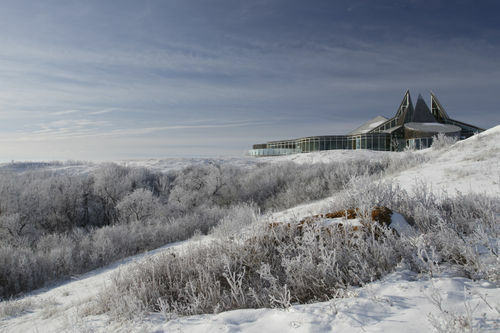 Overlooking the South Saskatchewan River, The Ukrainian Museum of Canada is an enduring testament of history. Established in the 1930's, this museum features an extensive collection of artifacts and hosts many events.